We have two types of photographers for your event. or print 4×6 or 5×7’s on site. 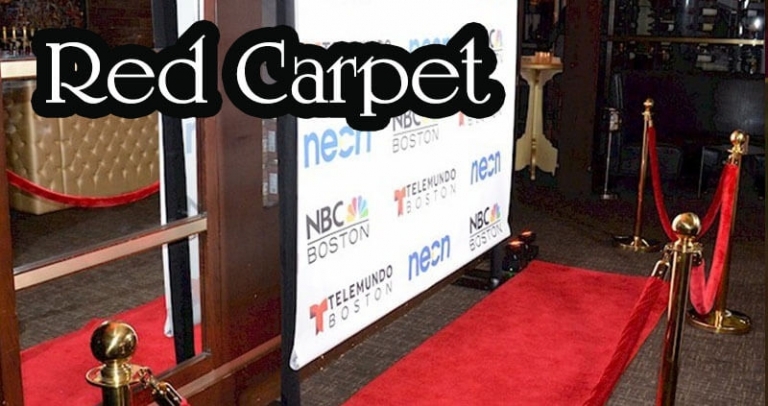 We offer full Step & Repeat/Red Carpet services. Just ask! This photographer walks around taking candid photos of your guests, than right after taking a photo lets your guests email or text their photos to themselves. 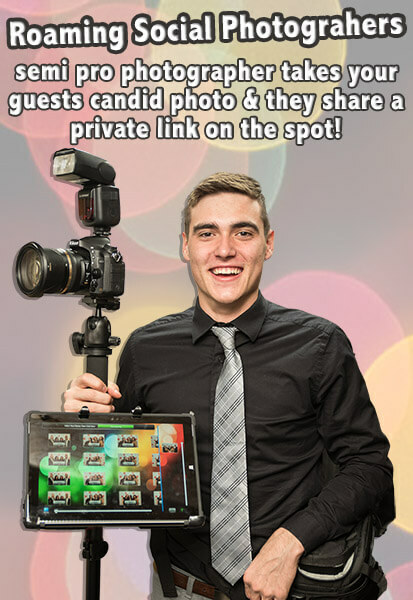 Photo links are private and only the guest(s) who took the picture get’s the image. Perfect for those events where everyone is dressed up in their finest! This Photographer Type is at a semi-pro technical level using the best gear, and on camera lighting. Images are delivered to the client unedited, jpg quality. This photographer has many events under their belt and has proven themselves to capture the very best photos no matter what the event throws at them. Photos are captured in RAW and edited after the event giving you the client the very best. This photographer is a master of on camera & off camera lighting. They can also do a mix of social roaming photographer/printing, etc. Whatever the situation calls for.